For the air quality monitoring in car parks, ALVI Automation in association with Alvi- Australia can offer an innovative exchangeable sensor “X-Change” that can be replaced without a specialist company. Whether in underground parkings, tunnels or loading zones – even the smallest gas leakage must immediately be detected, located and reported. 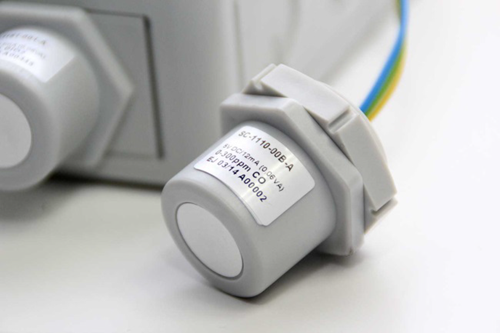 The sensors specially optimized for the different gas types CO / NO / NO2 / LPG work selectively in the defined hazard area. Our PolyGard®2 sensors in conjunction with sophisticated controllers and obligatory warning devices primarily monitor the air quality required for health and also reliably supervise the plant. Revolutionary exchangeable sensor X-Change provides cost savings and independence. Gas detection systems must not only meet the latest technological standards, but also the latest legal requirements. From time to time, but at least every 2 years, these gas sensors have to be adjusted or recalibrated in order to ensure proper monitoring. The necessary calibration of the sensors has been a very complicated procedure so far: the underground garage operator was dependent on an external certified specialist who had to come regularly for the on-site calibration of the sensors, costing a lot of time and money. Thanks to the exchangeable sensor X-CHANGE the recalibrations becomes a home game. We now send the car park operator the newly calibrated sensor heads on request, which can be exchanged independently according to the principle Plug & Play with little effort and in a short time! This means significant time and cost savings. At Alvi Automation-India , we offer perfect solutions for the gas detection technology in many applications. Our individually configurable and flexibly integrated solutions ensure the best protection for people and the reliable surveillance of plants in closed buildings in critical situations. Previous Previous post: JOVENTA SILENCE electric damper-actuator for ventilation and air conditioning systems.